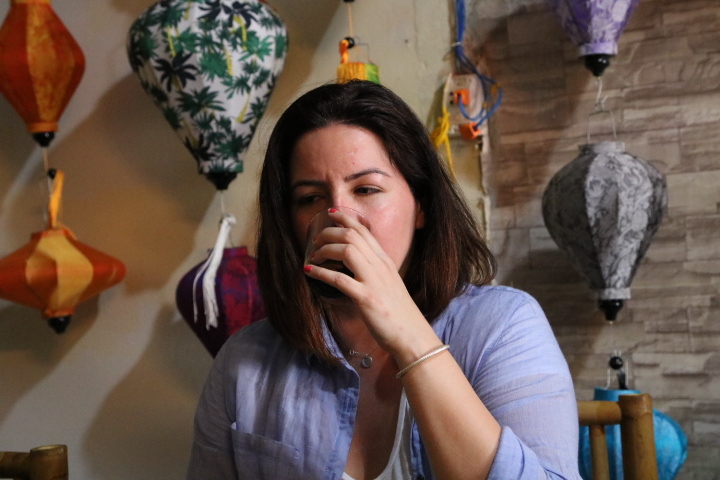 In this class you will be a given a brief overview of the history of coffee making and about the coffee growing regions in Vietnam. Just walk up the street and you’ll run into a coffee shop in every corner. 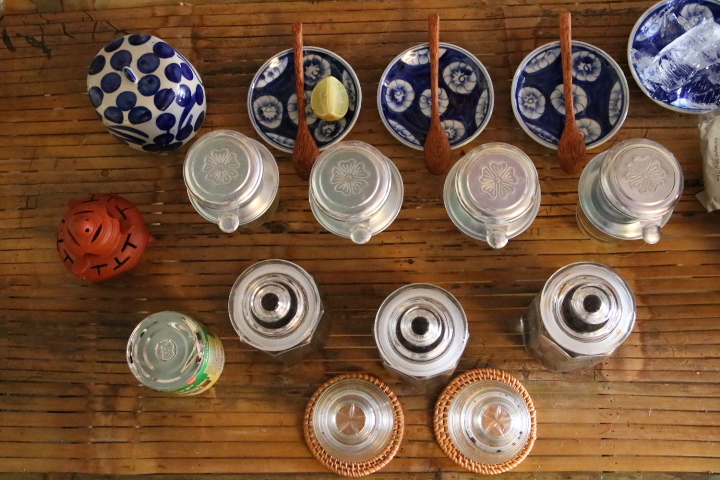 Drinking coffee is part of one’s daily routine and it is a considered a ritual by older Vietnamese. You’ll find that the Vietnamese drink coffee at all hours of the day and coffee shops are usually crowded in the mornings. Every day, locals visit the same coffee shop, order the same drink, and chat with their neighbours and friends or read newspapers while they perch on their low slung stools. 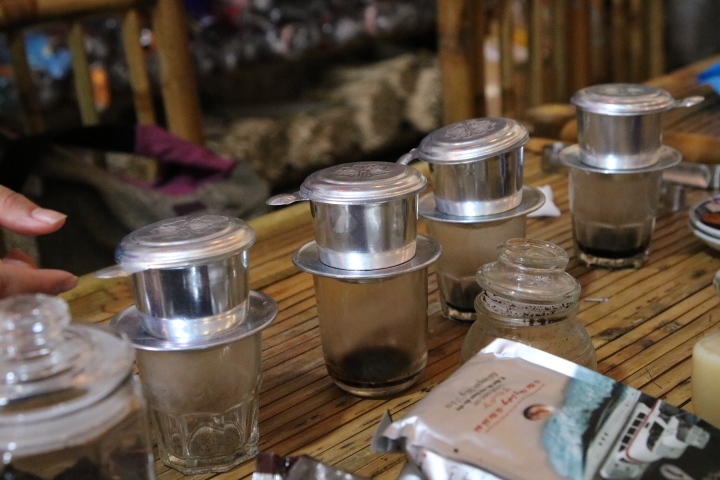 Every Vietnamese person knows how to make a cup of coffee. It is something that is passed down from a generation to another. 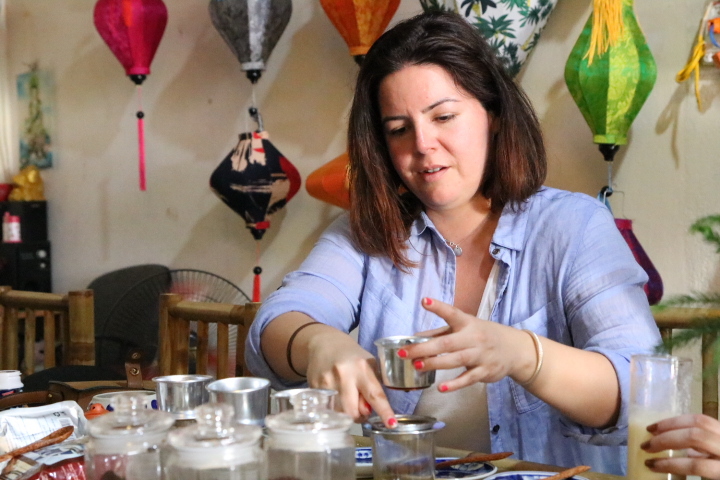 You may have an idea on how to make your own Vietnaamese Iced Coffee; afterall it looks so simple you could probably use your French press or filter! 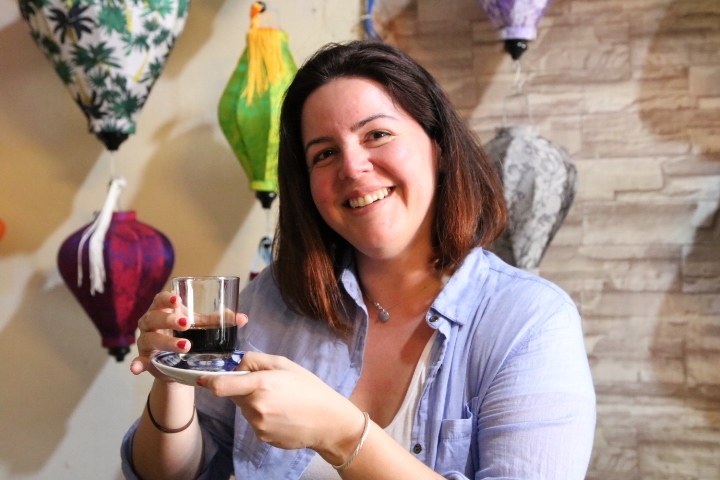 However, there is nothing like having an authentic Vietnamese style iced coffee, which is why, we are going to show you how to make it the authentic way. 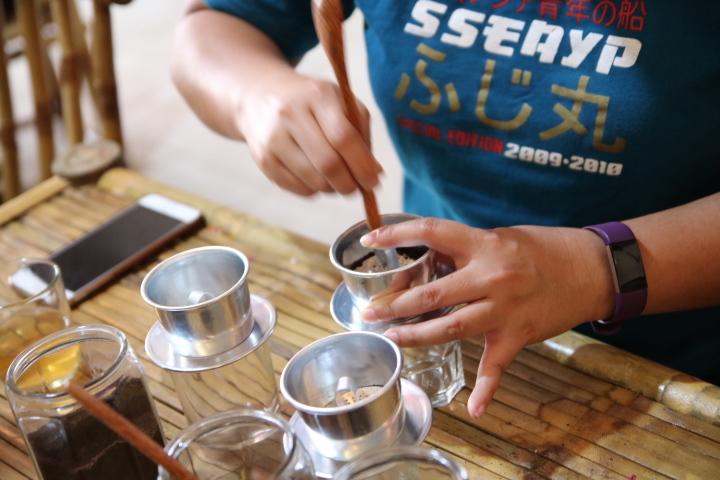 Visit our workshop and have a hands-on experience using the phin to make your very own coffee and learn the recipe which is passed down for several generations. Need help? Whatsapp us at +84 1699 216 230 for enquiries/recomendations and book instantly via chat !